MailChimp is one of the most popular email marketing platforms used by big and small brands. It also gives you the opportunity to make your first steps in email marketing for free. However, when it comes to a diversity of MailChimp templates offered by the platform, you may not always find exactly what you need. Luckily, we’ve gathered for you a collection of free MailChimp templates. All of these MailChimp templates can easily be loaded into MailChimp’s editor and edited with your own content and photos. Scroll down to check out these templates and grab them for free. *Visit the download page for the full preview. A fully free HTML email template compatible with MailChimp and CampaignMonitor. Perfect for business related email newsletters, this template can be easily edited in MailChimp’s editor. 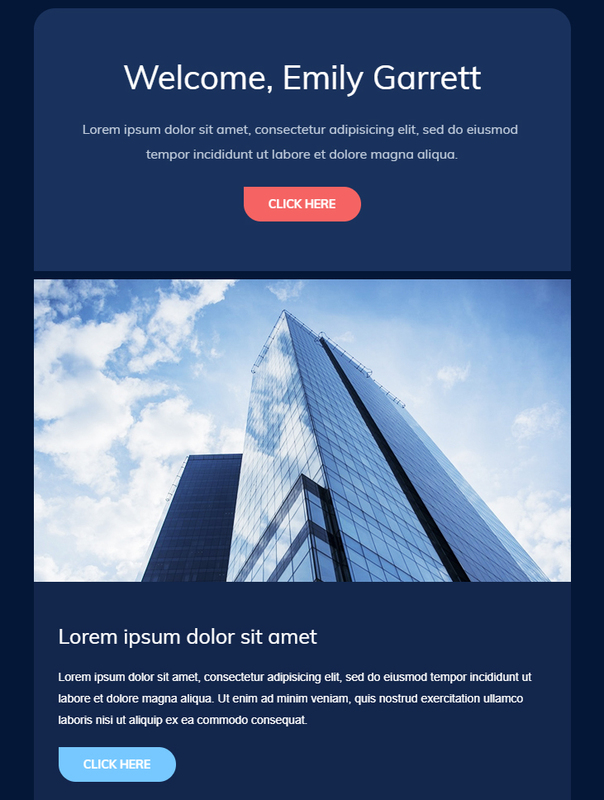 A dark-themed corporate HTML email MailChimp template great for corporate and business email newsletters. This template is very easy to edit in MailChimp’s editor and fully free to download. A classy and clean MailChimp template perfect for various email newsletters, especially business related. Simply download this template for free and edit it quickly with MailChimp’s editor. 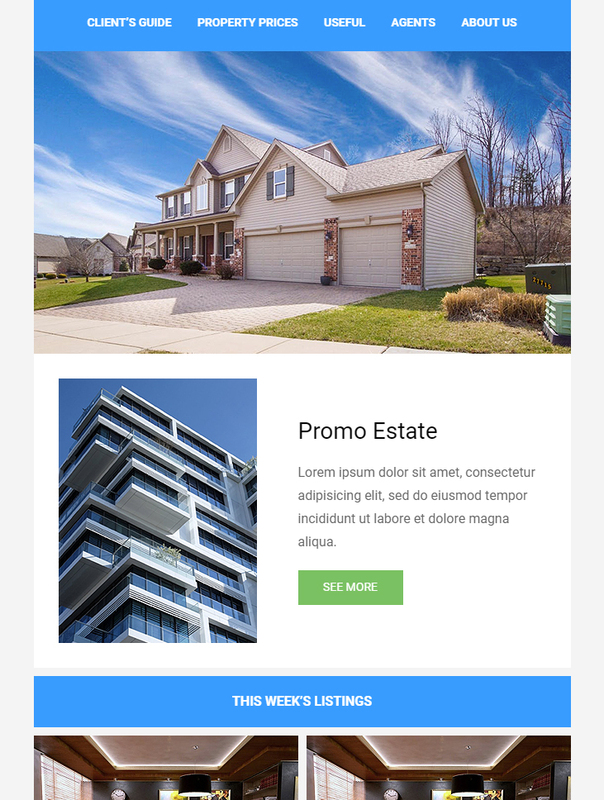 A modern and clean real estate HTML email template ready for MailChimp and CampaignMonitor. This classy design will easily impress your recipients and help you show the latest real estate offers in an attractive way. An attractive free HTML email template prepared for import MailChimp and CampaignMonitor. A modern design made specifically to help you show your real estate offers in the best possible way. 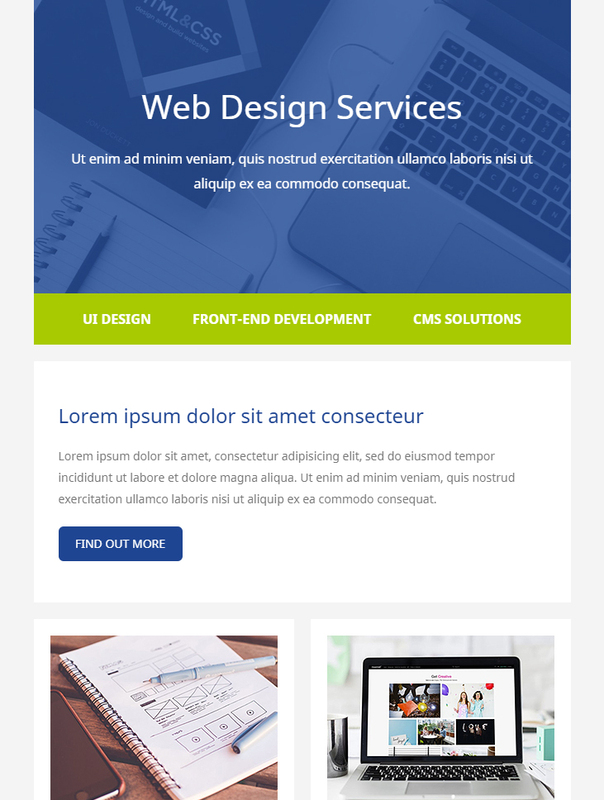 A classy MailChimp ready HTML email template which is great for presenting your business to your email list. 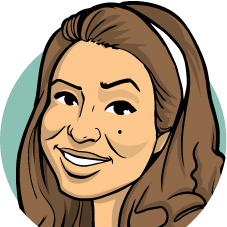 The template includes a timeline, testimonials and more useful sections, all easily editable in MailChimp’s editor. A MailChimp template, great for your next email newsletter. This template is designed by PSD2HTML and is also compatible with Campaign Monitor and Stamp Ready. Very easy to edit. 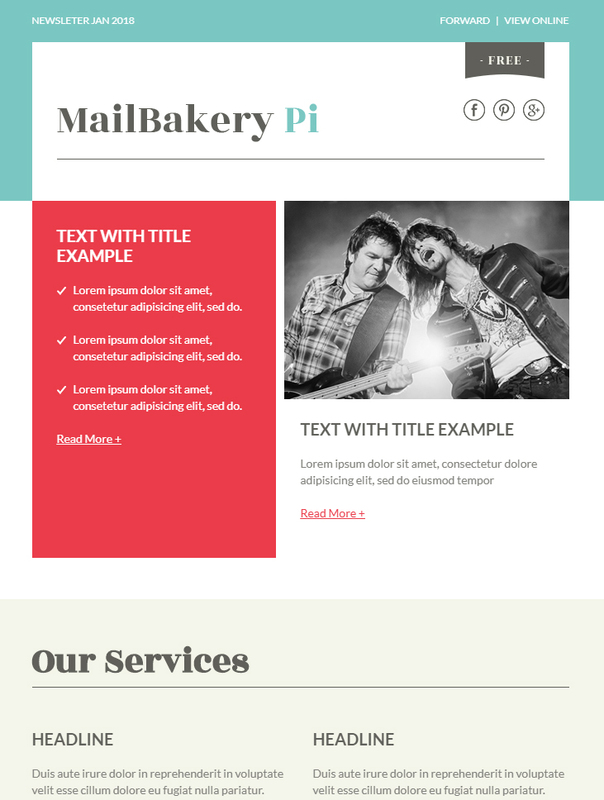 All you need to get this MailChimp template for free is enter your email address. 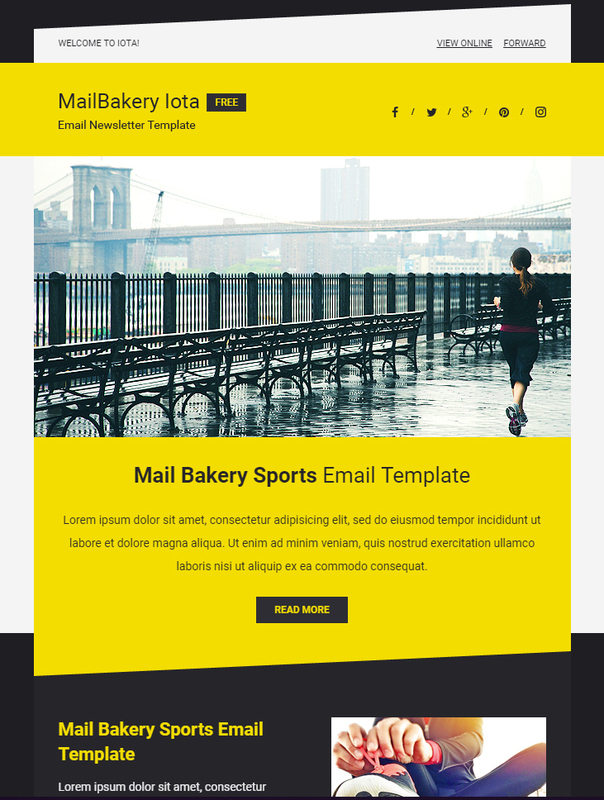 An HTML email template that renders perfectly on all major email clients including MailChimp. Designed by MailNinja, this email template is very attractive and will certainly nail the recipients’ attention. In order to download this free email template, you have to subscribe for EmailonAcid with your name and email address. A free responsive template for email newsletters that includes versions for MailChimp and CampaignMonitor. A functional design that can easily be adapted for different campaigns and email newsletters. To grab it for free, you need to subscribe for EmailonAcid. 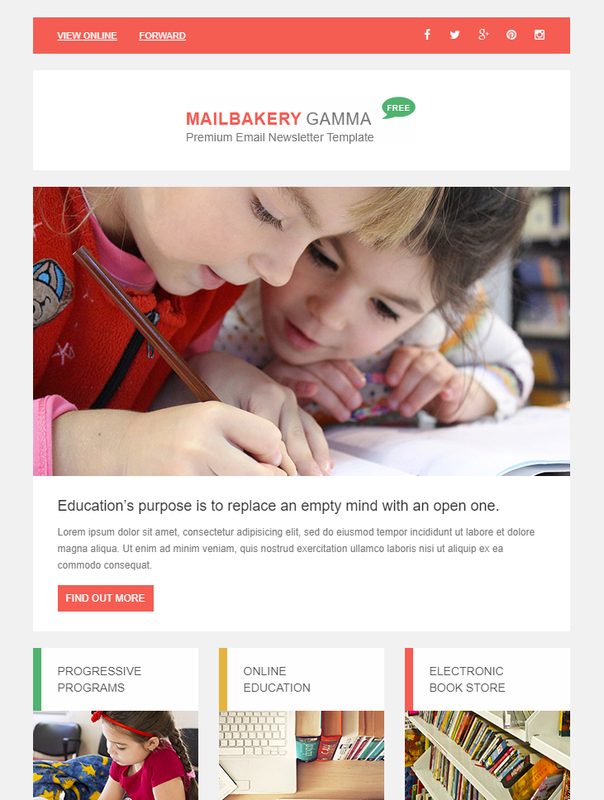 A MailChimp ready template suitable for email newsletters in the education field. This email template is classy but still with pops of cheerful colors. Grab it for free and edit it easily in MailChimp’s editor. 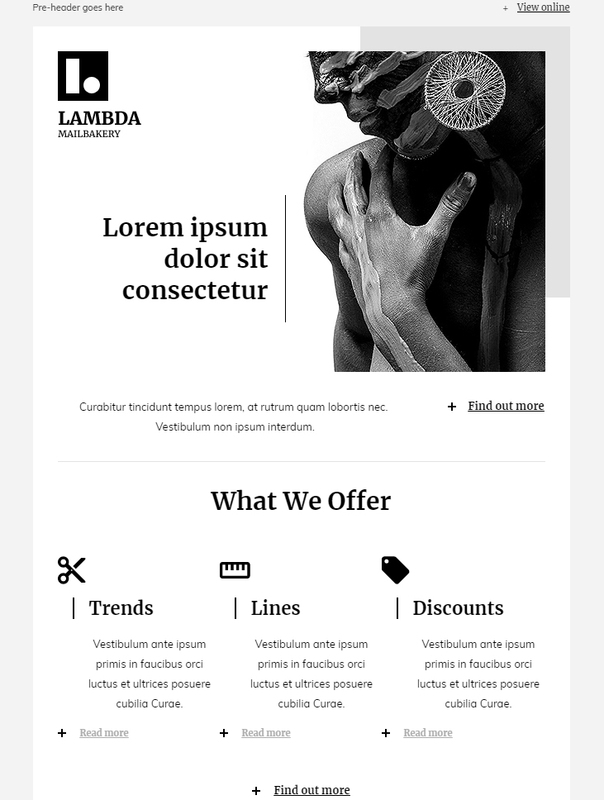 A MailChimp ready template suitable for email newsletters in the education field. This email template is classy with pops of cheerful colors. Grab it for free and edit it easily in MailChimp’s editor. A bundle of free MailChimp templates provided by 99designs. 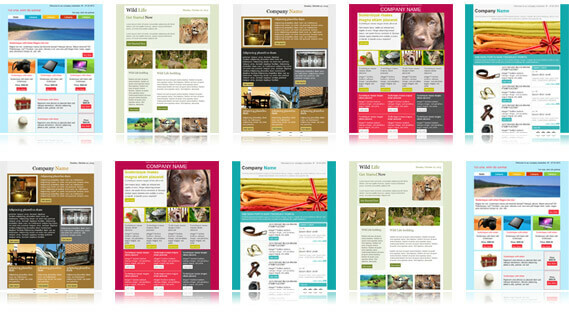 The collection includes 3 email themes, each including 3 types of templates, each available in 5 different color schemes. The 3 types of templates are an email newsletter, a promotional email, and an email notification. The email templates are compatible with all major email clients, and they can easily be integrated in MailChimp. A collection of 10 email newsletter templates compatible with MailChimp and other email marketing platforms. 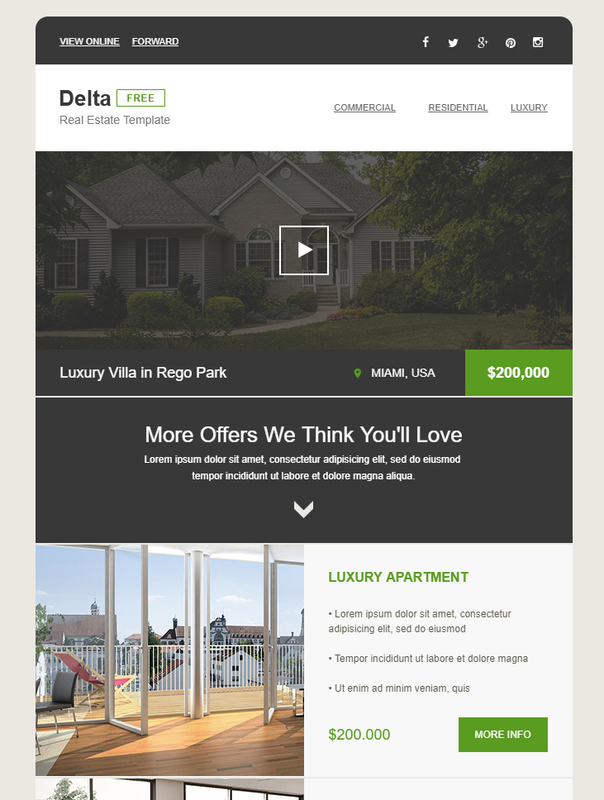 These email newsletter templates are designed with high attention to detail. They are a part of a bundle of 300 email templates which are available for purchase. 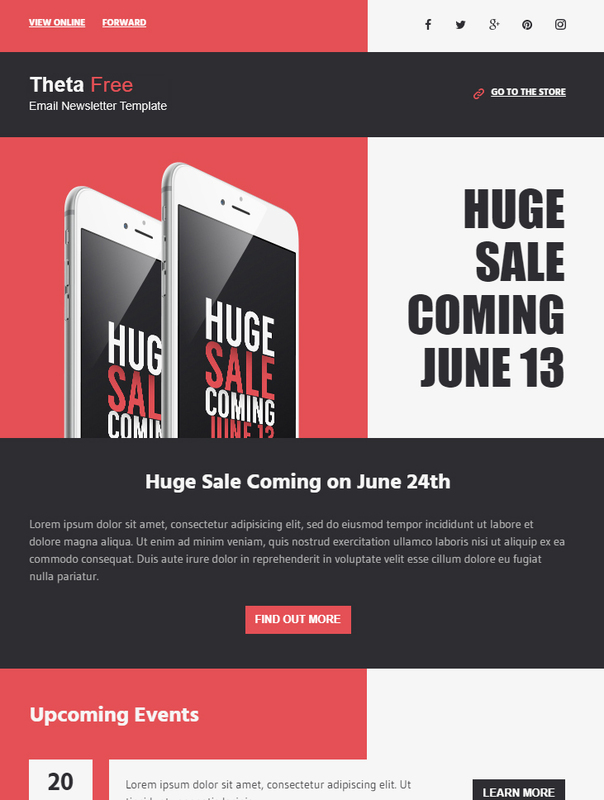 A functional and modern responsive HTML email template compatible with MailChimp and CampaignMonitor. This email template is perfect for different kinds of businesses and very easy to edit with your own content. 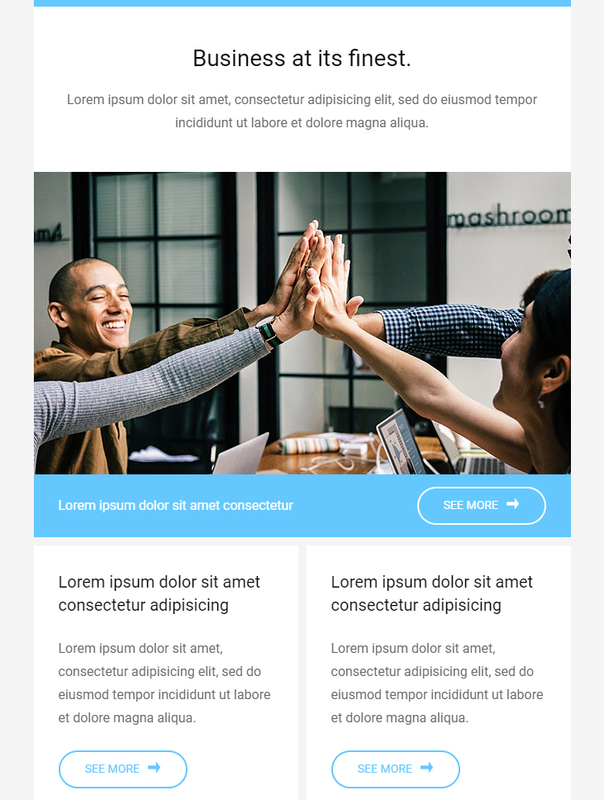 An email newsletter template suitable for different email campaigns and fully compatible with MailChimp and CampaignMonitor. This email template can be easily edited with your content in MailChimp’s editor. 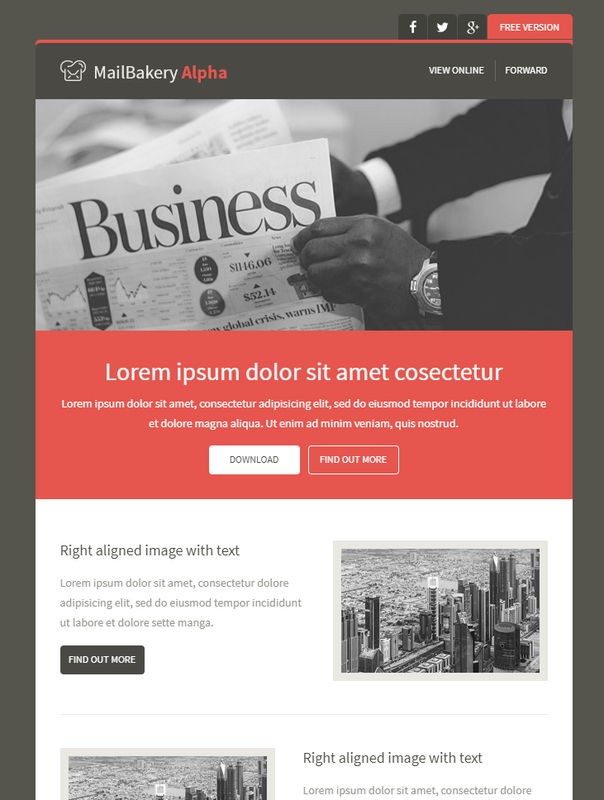 An email newsletter template which conveys the feeling of a real newsletter. 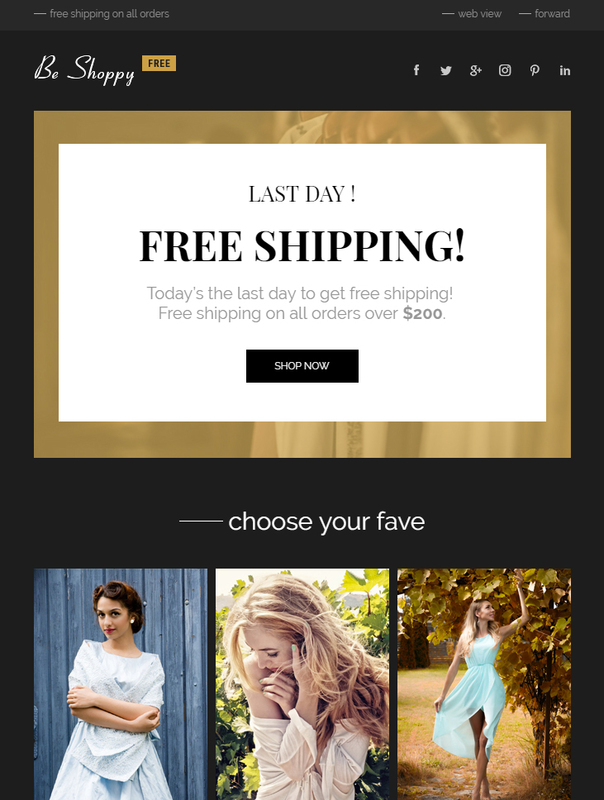 This attractive design can be easily adapted to different email campaigns. Free to download and compatible with MailChimp’s editor. A cheerful bright yellow design of an HTML email newsletter template that can be downloaded absolutely for free. 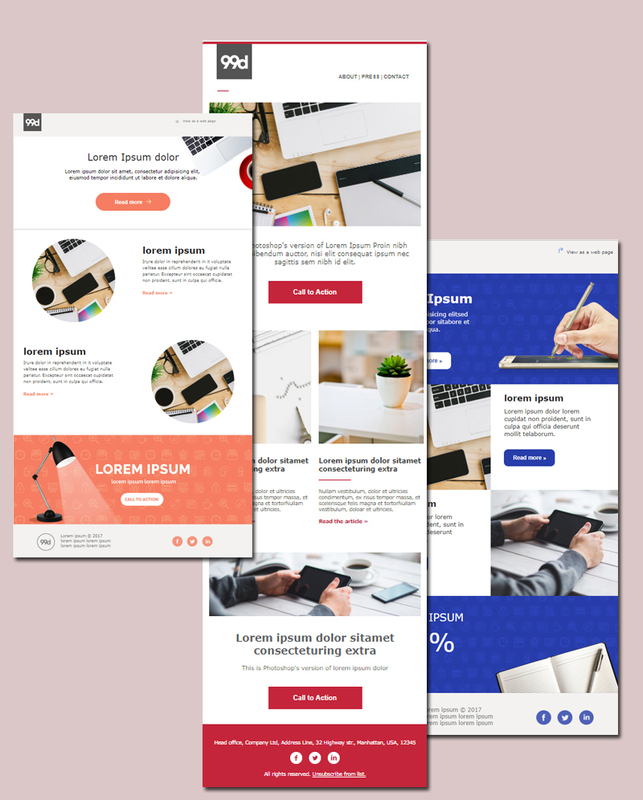 This modern template is made fully compatible with email marketing platforms like MailChimp and CampaignMonitor. 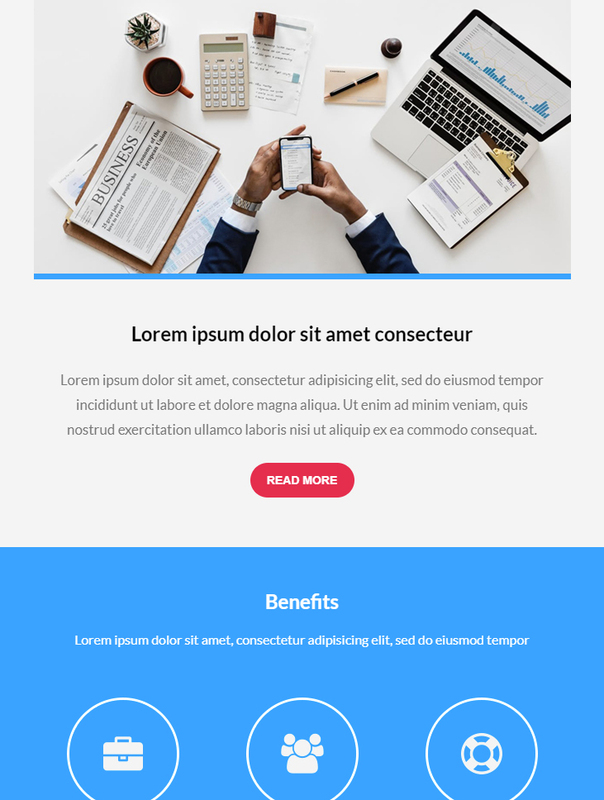 An eye-catchy fully free HTML email newsletter template completely compatible with the most common email marketing service providers MailChimp and CampaignMonitor. A clean and artistic MailChimp template designed in a tasteful minimalist style. 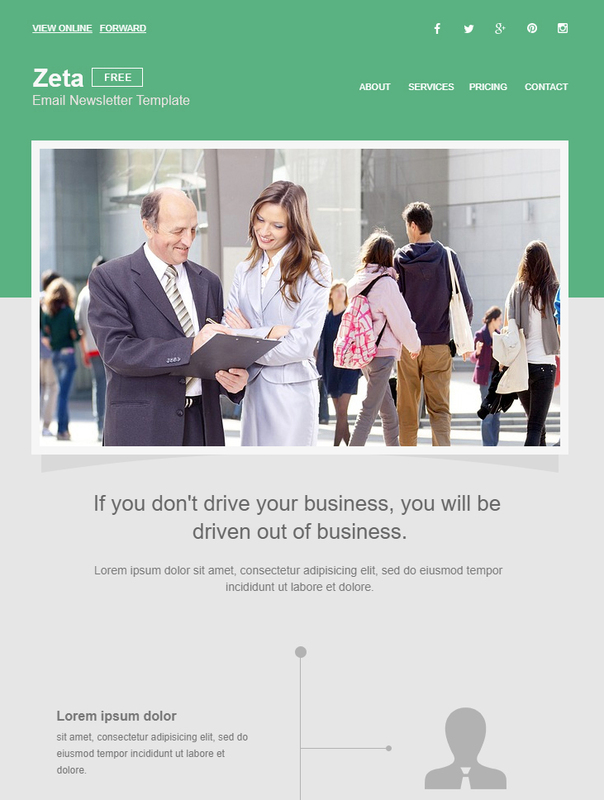 This email template is fully compatible MailChimp’s template editor and is available for free download. A free newsletter template provided by Litmus that will help you present your newest articles in a clean and modern way. Includes MailChimp and CampaignMonitor versions. 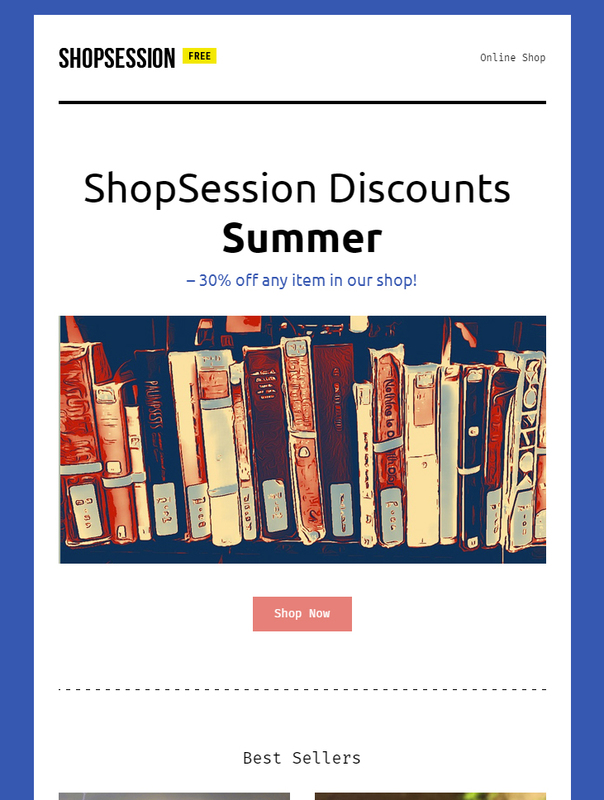 A functional and free abandoned cart email template provided by Litmus that will help you remind your recipients about products they forgot in their cart. Comes with versions for MailChimp and CampaignMonitor versions. A very modern and free eCommerce template ready-made for MailChimp and CampaignMonitor. Surprise your recipients with an attractive email design to present your new products and boost your sales. 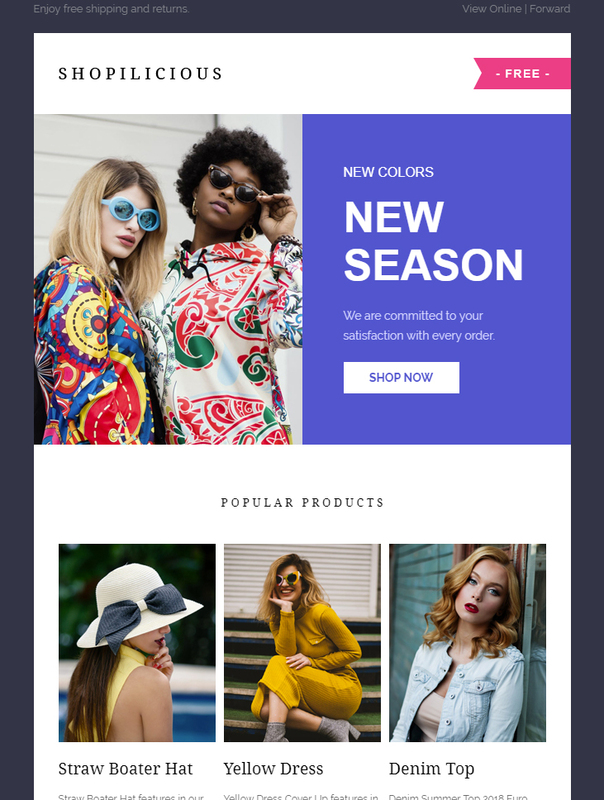 A clean and functional eCommerce template fully compatible with email marketing platforms like MailChimp and CampaignMonitor. Free to download and suitable for different products. 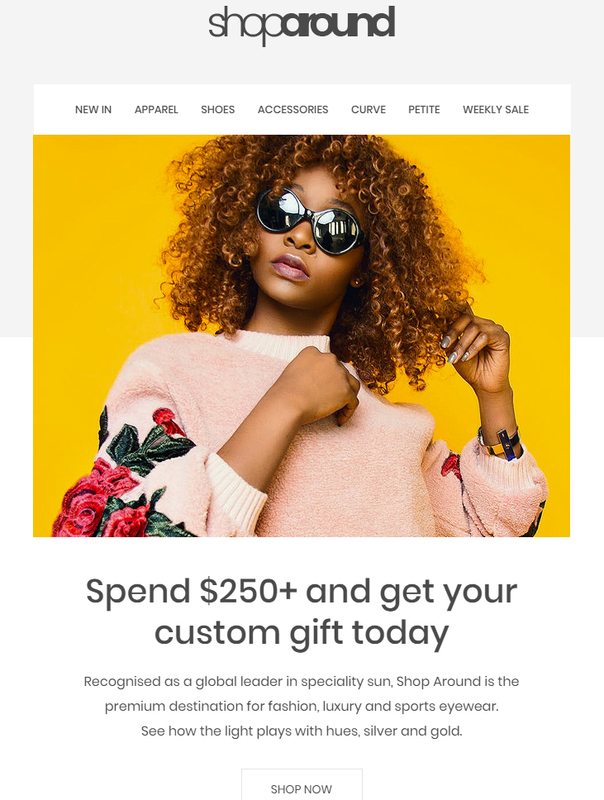 A very eye-pleasing design of an eCommerce email template that can be downloaded for free and edited in MailChimp’s editor. Great for presenting different kinds of products. A very classy email template designed in golden and black. 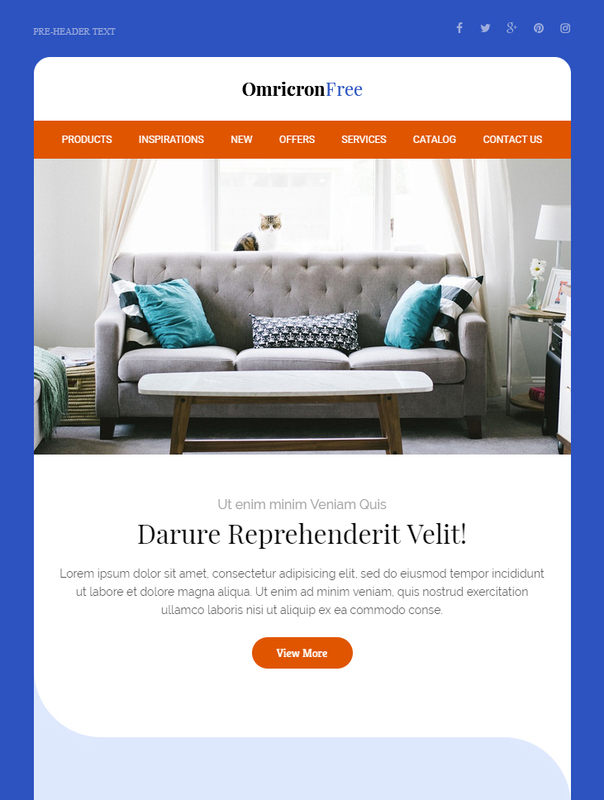 This free eCommerce email HTML template is fully compatible with MailChimp and CampaignMonitor and suitable for different kinds of products. A clean email design of an abandoned cart email template that has MailChimp and CampaignMonitor versions. Suitable for a wide variety of brands and products. An abandoned cart email template compatible with MailChimp and CampaignMonitor. Bringing the focus on one product only and its reviews, this template will help you return your recipients to the cart. 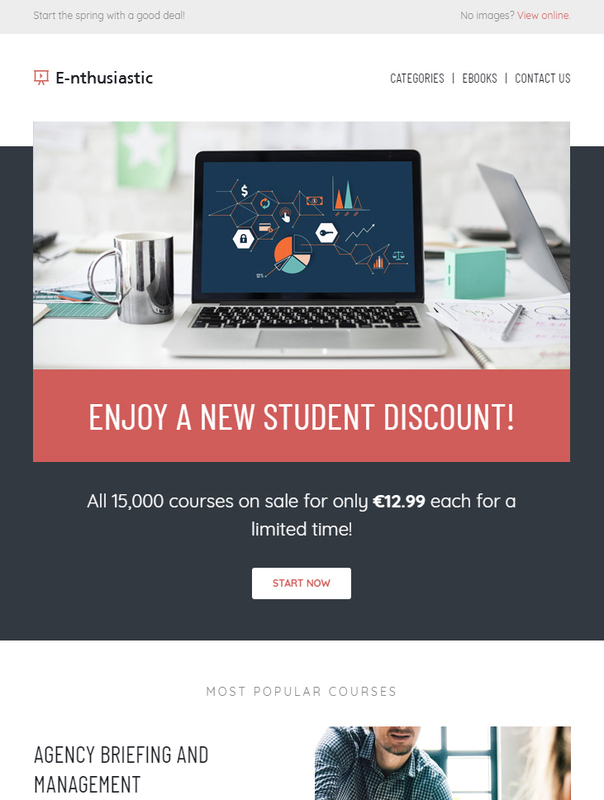 A free to download email template perfect for presenting your services and educational courses to your email list. Fully compatible with MailChimp and CampaignMonitor and very easy to edit. A multi-purpose MailChimp email template that is completely free to download. Just import it into MailChimp editor and put your content to impress your recipients. We hope we’ve been helpful with this collection of free MailChimp templates. Have some more MailChimp templates that you want to provide for free? Awesome, we’d love to see them in the comments below.